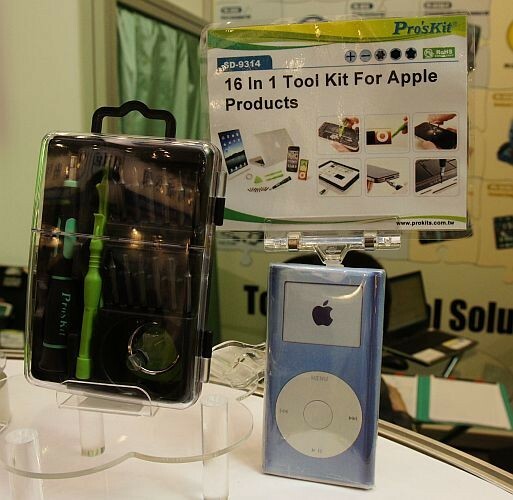 Pro’sKit makes tool kits for Apple Products. 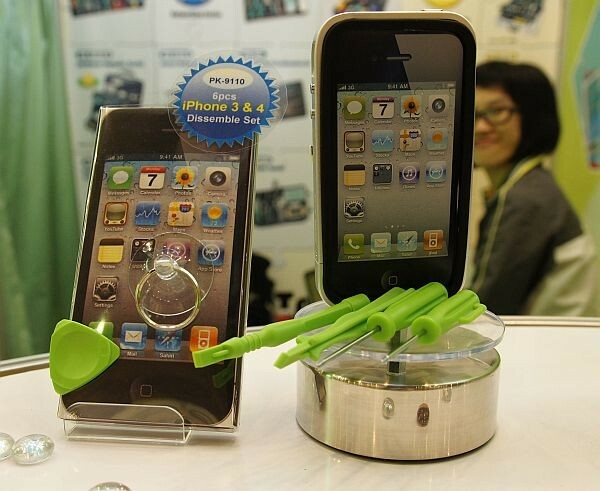 The one shown above is a kit for disassembling iPhone or iPod (notice the suction pad). 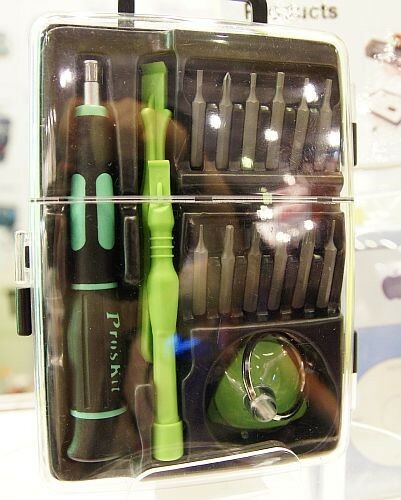 It is made in Taiwan and costs about $25.